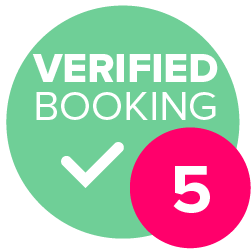 On booking we take a deposit to secure the date this is a non refundable deposit to save the requested date. Then the remaining balance will be taken 1 month prior to the event. Changes can be made up to the final payment is made for the event. We are meat outdoors a hog roast and a BBQ caterer. 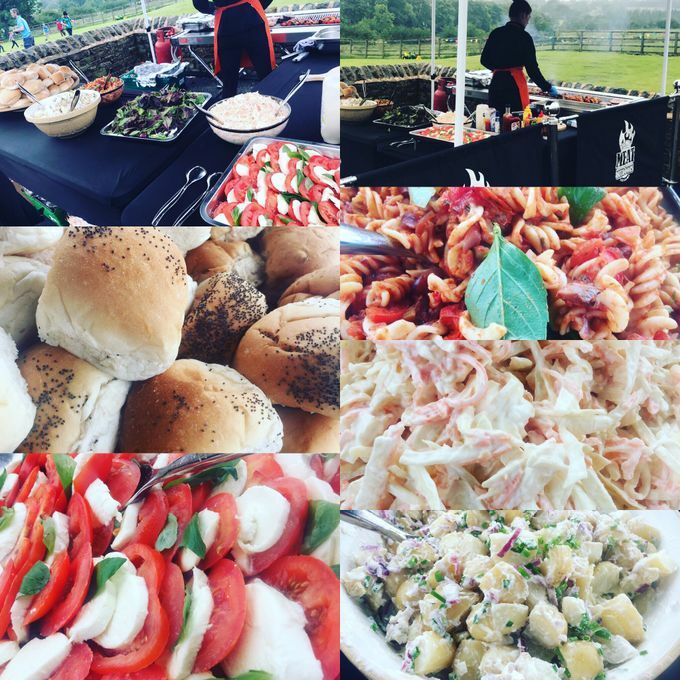 All our meat is supplied from our local butchers at the best quality along with fresh bread from our local bakery made 3am on the day of an event to ensure fresh quality products, even down to a local green grocer to supply all our salad and vegetables. Everything we do is fresh produce and great quality to ensure the best catering experience we can offer. 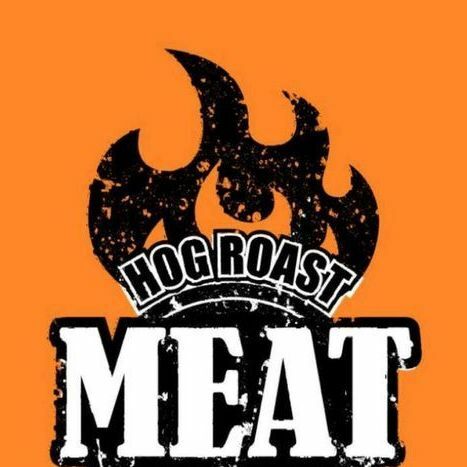 Supplying hog roasts and BBQs to all of North England. We also offer home events such as brunch before the races , a luxury lunch with the family - whatever you require our head chef Bertram can create for you ! From a wedding of 200 to a private 40th birthday party nothing is to big or small. No matter the size we pride ourselves on fresh great quality produce. We would just like to say a big thank you to Laura and her team. 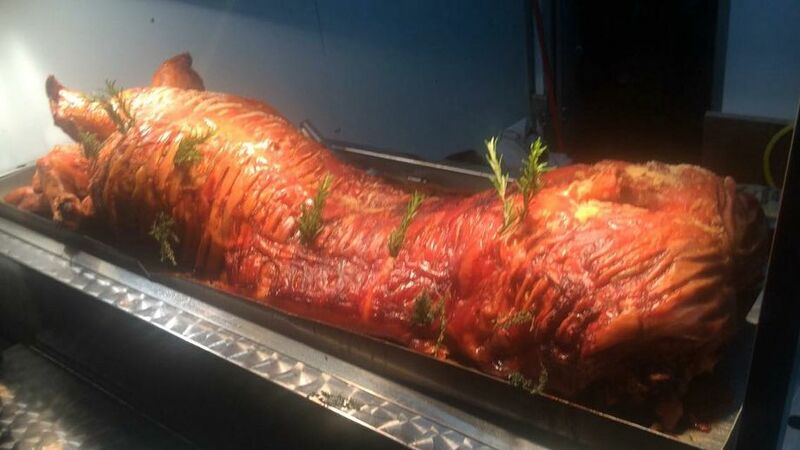 Used Scott and his team to cater a hog roast for our daughters Naming Party at our home on 18.06.16 for about 75 people. They were quick to set up, friendly, looked professional but more importantly the food tasted great. Wish they were there for longer though! Will be booking again, thank you. 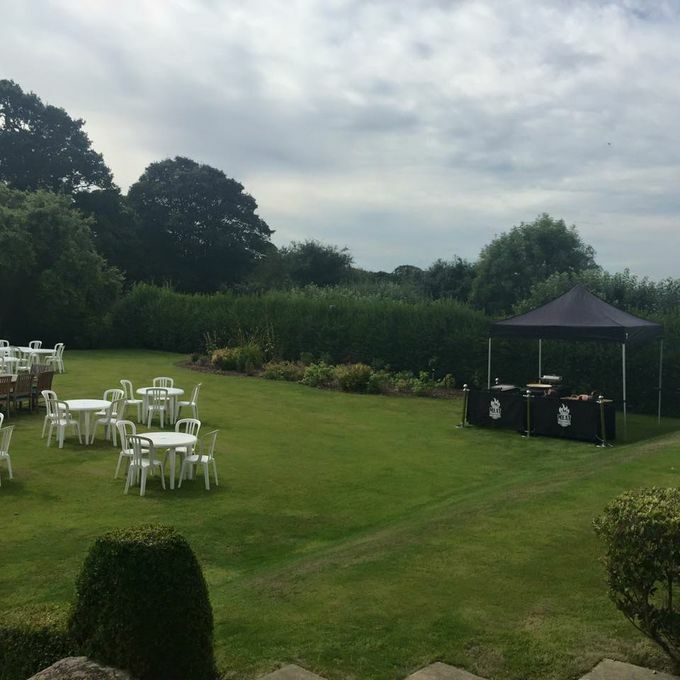 Thank you to the Meat Outdoors team for the amazing catering and service at Danielle's Hen do. You were such a pleasure to work with from start to finish and you really helped make our event special and perfect! The food was delicious, such high quality and the service was top notch and totally professional. I would and will recommend you for any event, and will certainly be using you again. Thanks again from the whole gang. As every menu is tailored every menu is special. Requirements for anything such as allergies can be dealt with. 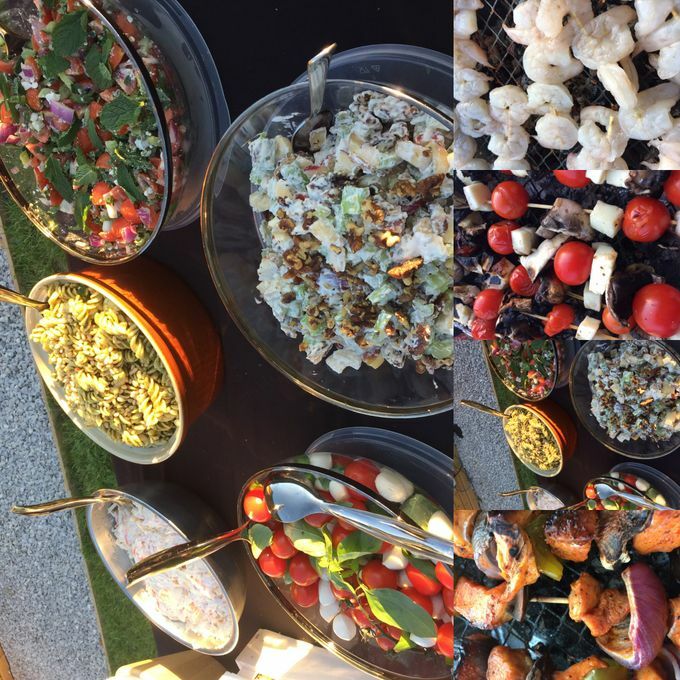 BBQ menu will cover everything you can think of from bursting bangers, Canaan chicken, salmon, king prawns, rib eye steaks, beef, pork, lamb, even kangaroo , crocodile nothing is too far stretched for us at Meat Outdoors. We cook everything fresh in front of you at your event. We are a mobile cateres so we come to any event you host. We cater for all size parties. We supply locally sourced produced / uniformed staff everything is organised by ourselves.